Cake Or Ice Cream? The Great Debate! 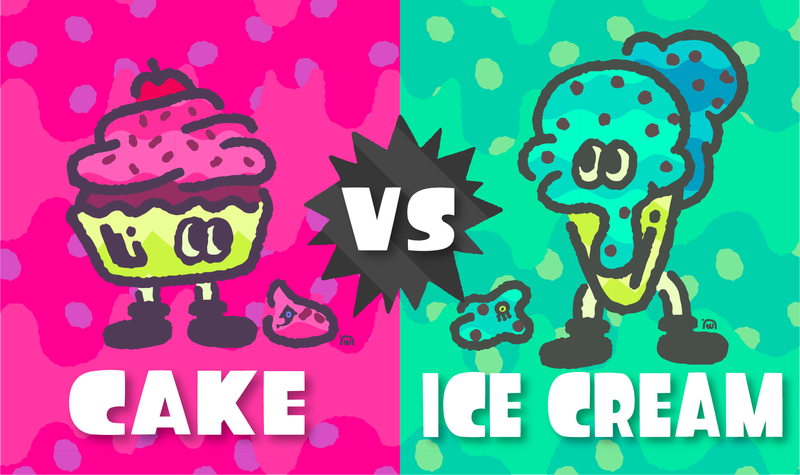 In five days, all of us lucky enough to own a Switch will be playing Splatoon 2's first Splatfest ahead of the actual game’s release to answer this very deep and pressing issue. But for the poor souls who don’t have one, everyone is welcome to debate the controversial issue here, as long as they say that ice cream is better. Remember to be courteous and to respect the other’s opinions, unless they say something completely outlandish such as saying cake is better than ice cream. Let’s start the debate!